Well, Downton Abbey's series finale aired here in the U.S. I've already seen the sixth and final season when it aired in the fall, but I watched it again as it was broadcast here in the United States. Personally, I loved the finale. There were some nicely tied-up storylines and plenty of feel-good moments. I really enjoyed this season, but I can't help but wonder what'll happen to the fictional Crawleys and their small cohort of servants after we, the viewing audience, has left them at midnight on New Year's Day, 1926. There was a general strike in Britain from May 4th and martial law was declared. Coal miners went on strike for nine days, bringing transportation to a standstill and the government put together a volunteer group of special constables to keep order in the streets. The strike ended on May 12th. So the Crawleys would likely run into trouble here--is there enough coal to heat the house? What if supplies or their products can't make it where it needs to go because there aren't any trains? What if Tom or Henry or Thomas, even, volunteer as special constables to keep order? Martial law ended in December 1926. 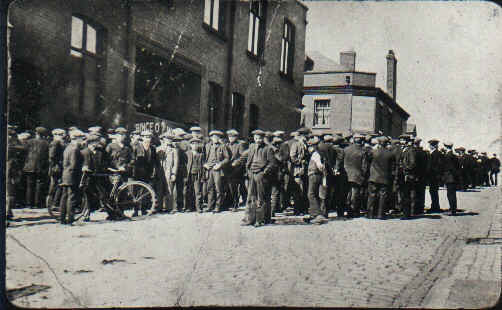 Tyldesley miners on strike outside Miners' Hall, 1926. Gertrude Ederle was the first woman to swim the English Channel. I'm sure Lady Mary would have something to say about that. But beyond 1926, there was the Great Depression from 1929 into the 1930s. How does the estate survive? How does newly-formed Talbot and Branson Motors survive? Does Edith's magazine get through? Fascism also begins to rear its head in the 1930s. How does that affect our people? There's the Spanish Civil War. Hitler's activities become more and more dangerous in the late 1930s, with Britain declaring war on Germany on September 1, 1939. Mary's son--and Downton's heir George--would be of military age during this Second World War. How does he serve? 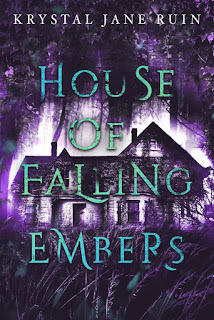 Does he survive the war, inherit the title and the estate, and keep the place running? Or does the cost of running the house and paying death duties overwhelm the family? And what does the house itself become during the World War Two? Will it be a convalescent home again, will it commandeered by the armed forces, will evacuees from the Blitz move there? Does Downton Abbey become like many of the big country houses of Britain--some kind of institution or a National Trust property? Or is it pulled down, like so many country houses were, because the family can't maintain it anymore? In fact, how do the other country houses in the Downton world fare? Will the Crawleys have to go on with even less staff? Mr. Carson retired as butler at the end of the last episode, leaving him as an overseer of sorts for big events. I think Mrs. Hughes was still the housekeeper, but as she gets older, she'll retire and hopefully, live happily in their cottage with Mr. Carson. Mrs. Patmore will retire soon enough and go to live off the income of her little guest house. But then who becomes the cook at Downton? Daisy's moved to Mr. Mason's farm and I wouldn't be surprised if somehow, she's able to get a higher education. Anna and Bates had their son on New Year's Eve, but will Anna continue on as Lady Mary's lady's maid? Will the Bateses have more children? Their son might fight in WWII as well. How will Edith's life change, since she's now the Marchioness of Hexham? How many children will she have and will her daughter Marigold grow up to become a journalist like her parents? Does Edith continue to run her magazine? How many children do Mary and Henry have together? Will Tom Branson remarry someday or remain single? What does his daughter Sybbie do during the war years--will she be a nurse like her mother? Does she get recruited to work in intelligence or the women's auxiliary corps? Or does she fall in love with a soldier? Will Thomas ever find a boyfriend? On the down low, naturally. It was illegal to be homosexual in England until 1967. I've enjoyed watching the twists and turns of the Crawleys and their servants over the last six years; yes, some of the twists were ridiculous and some were sad, but this addictive television show let us into a house and a way of life that's mostly gone, with people we came to care about. It showed us history of the early twentieth century while humanizing the people who might've lived through those times and gave us juicy story lines. That's interesting. I didn't know the show had ended. I never got around to watching it. Maybe Netflix or Hulu will pick up now, if they haven't already. Netflix has the DVDs available, if you're okay with that. I know Michelle Tran said she was going to binge watch them all now--which is the way I watched Breaking Bad, as it was marathoning toward the finale. I'm rewatching the entire series on Amazon. It's free for prime members! Great questions! I loved the finale too. It was great to see things work out for everyone but especially for Edith and Thomas who I really felt for this season. Now for fan fic! I've so glad Edith got her happy ending and Thomas is both nicer and content now. Oh, so much fanfic! I'm reading one based around Edith and Bertie right now. Canon, future fanfic for me--I like Henry more than I liked Matthew, I only wish he'd been given more time to develop.